After a few weeks of summer doldrums, the tech world is buzzing once again with forthcoming events and product launches. The latest to add to your calendar is a joint Samsung and Barnes & Noble affair on August 20. The two are hosting a shindig at the Barnes & Noble store in New York City's Union Square. There are few details for the event, except this message: "Join us as the best of both worlds come together." Samsung and Barnes & Noble announced in June they'd be working together on new Galaxy Tab 4 Nook tablets, so the partnership is no surprise. Nor should it be a surprise what kind of product we see a few Wednesdays from now (a tablet, in case your brain is already in Friday-mode). The question is just what kind of tablet or tablets we're in for. 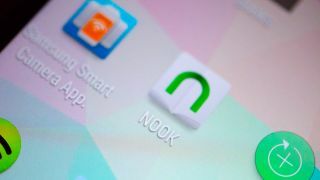 A 7-inch Galaxy Tab 4 Nook will start shipping in the US sometime this month, and that device features a 1280 x 800 screen, 1,200MHz processor, 1.5GB of RAM and microSD support. Since Samsung and B&N feel the next Galaxy Tab 4 Nook warrants its own launch event, we could be in for something a little more exciting. Samsung's last tab, the Galaxy Tab S, featured a dazzling 2560 x 1600 pixel WQXGA Super AMOLED screen and high-end internals. Perhaps the next Noos will feature Samsung's premium specs while giving digital book worms something to drool over. We'll find out soon enough. Will the iPhone 6 be the phone to end all phones?